The leaves are changing colour and the air’s becoming crisp – ahhh autumn is here. 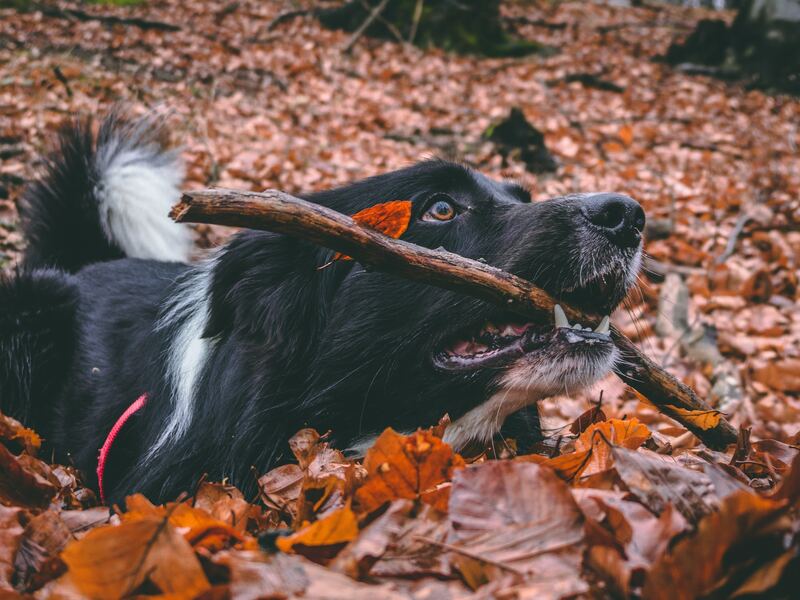 And since it’s not too cold and not too hot this time of year, autumn is the perfect time to enjoy the great outdoors with your beloved pooch. But with this beautiful season comes a unique set of challenges for us dog owners – both inside and outside the home. Some of which you may be completely unaware of! So it pays to learn about some of the risks our dogs face this season so you can keep them safe no matter what you get up to. 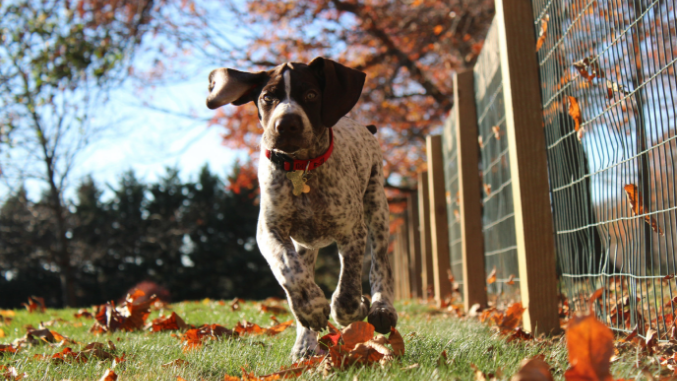 Autumnal allergens can trigger a few nasty reactions in our dogs, just as they can with us. Mould, ragweed, grass and dust are just a few of the common culprits that can make our dog’s lives unbearable. Dogs with seasonal allergies can experience problems with both their skin and sinuses. Watch out for signs like rashes, excessive itching, sneezing, clear discharge around the nose, coughing or watery eyes. 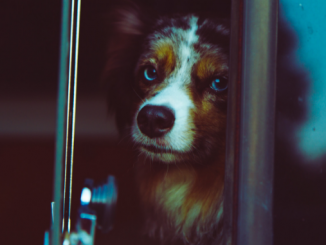 Consult your vet if you suspect allergies are at play – a vet can help your dog feel more comfortable with antihistamines and other medications. Seasonal Canine Illness (SCI) is an autumnal illness that affects dogs of any size, breed or age. Most cases occur between August and November across the UK, but it’s unknown what causes it – only that it could be linked to woodland areas. Dogs usually start showing signs of being unwell 24-72 hours after walking in woodland. The illness can quickly become fatal if not treated, so it’s important you pay attention to the symptoms. Signs of SCI include vomiting, which can also be accompanied by diarrhoea and lethargy. If you notice these warning signs this season, don’t hang around. Seek veterinary attention quickly. Autumn is a popular time for cosy gatherings and dinner parties as the weather turns. But new guests and noise can be stressful for dogs, especially for already anxious and nervous pooches. Ensure your dog has a comfortable and quiet place to relax if they start feeling overwhelmed. 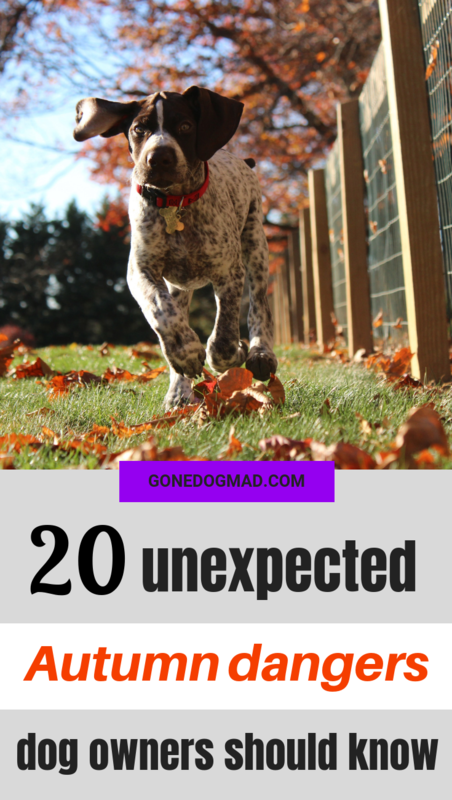 Your guest’s coats and bags can also be potential hazards for inquisitive pups. Many everyday items we carry around in our bags can be toxic to our furry friends. Essentials like sugar-free gum, ibuprofen, and some cosmetics can make our dogs sick. 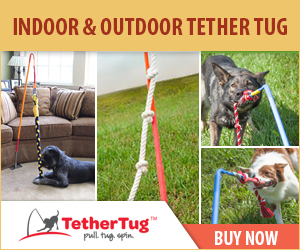 So ensure you hang them up out of the way so Fido can’t reach them. During autumn time, lots of us tend to hunker down indoors more than we do in summer. Which can bring about more nights in with comfort foods like chocolate and alcohol. 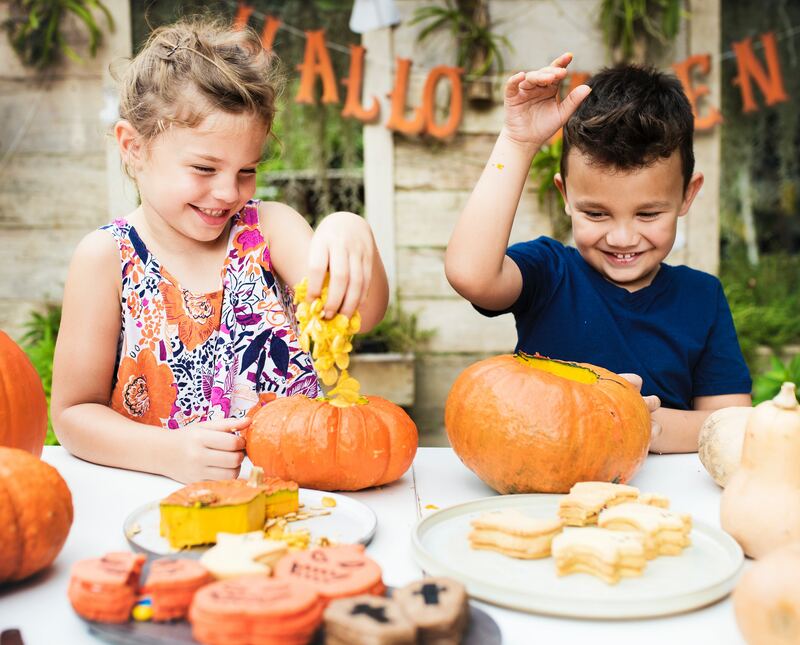 And with Halloween just around the corner there’ll be plenty of treat-rich nights ahead. But bear in mind, chocolate, sugary sweets and alcohol are dangerous for our dogs if eaten. Chocolate contains theobromine which is toxic to dogs and can cause seizures, vomiting and diarrhoea. Alcohol can cause vomiting, dehydration, disorientation, and in more severe cases collapse and coma. Keep the chocolates, trick-or-treat bags and your favourite tipple behind cupboard doors or out of reach. If your dog shows signs they’ve consumed something they shouldn’t, speak to your vet straight away. The nights and early mornings get darker and colder as we move through Autumn. To keep your dog safe and warm, it’s a good idea to dress yourself and your dog in appropriate gear. Reflective leads, collars and harnesses will help drivers see you better in the dark. You can also get clip on lights to help you keep an eye on your dog if you let them off lead. Make sure you both wrap up with a warm, waterproof coat for those soggy strolls, and keep your wits about you. For more safety tips, check out my essentials checklist for walking your dog at night. When temperatures plummet, our cars can need a helping hand to keep them running smoothly. But most antifreeze products contain an ingredient called ethylene glycol which can be extremely dangerous if ingested. Even in small amounts it could cause kidney failure and death. And it doesn’t help matters that dogs can be attracted to the chemical because of its sweet taste. Be aware of the area surrounding your car in case your radiator leaks antifreeze, and always keep the bottle well out of reach. Avoid letting your dog drink from puddles, especially those that look discoloured. Appearing drunk or unsteady is a big indicator your dog has ingested antifreeze. If you notice this warning sign, consult your vet immediately. Some roads can become icy towards the end of November. Which means your local council is usually on hand to salt the walkways and roads to keep drivers and pedestrians safe. But road salt is a huge irritant for our dog’s paws, and can cause burning and cracked pads. Dogs may also lick their paws if the salt isn’t washed off causing inflammation to the mouth and digestive system. Try to avoid salted roads and walkways where possible and wash your dog’s paws thoroughly after ever walk. Alternatively, you can apply a paw balm before you set off that will act as a barrier against the salt, or use booties if your dog will tolerate them. Who doesn’t love running and jumping through fallen leaves on a crisp autumn day? 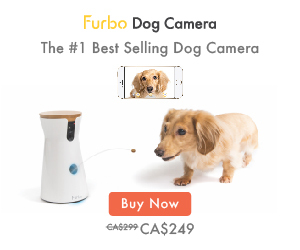 I’m sure your pooch is no exception! Piles of wet, rotting leaves are the perfect breeding ground for bacteria, fungus and mould to grow. 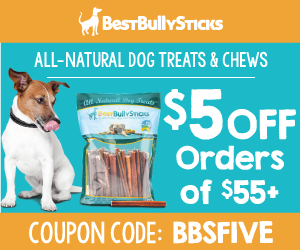 This can lead to gastrointestinal issues if your dog ingests them. 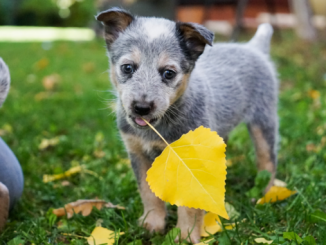 Your dog could consume the bacteria when they later lick themselves, so be sure to wash your dog down afterwards if they’ve been lolloping through leaf piles. Mushrooms growing in the wild are widespread through the damp, chilly autumn. Most wild mushrooms are perfectly safe, but others are highly toxic and can be life-threatening if eaten. It can be extremely difficult to tell the two apart – even experts struggle to distinguish the safe from the toxic. So your best bet is to keep your dog well away from all mushrooms you find growing in the ground. If you find your dog has eaten one, it’s better to be safe than sorry. Seek veterinary help immediately. Rodents like rats and mice tend to seek warmth and shelter as the temperatures drop in autumn. Many people use rat poison to kill off unwelcome visitors, but these chemicals can be toxic to dogs if eaten. Many poisons contain anti-coagulant properties that essentially inhibit blood clotting. If your dog eats the poison this can cause severe bleeding from anywhere in the body. It could start from a small graze or even an internal organ. The effects can be delayed for several days and you may be unaware it’s happening. Symptoms your dog may have ingested rat poison include, weakness, seizures, bloody vomit and rapid breathing. If you notice these warning signs consult your vet right away. If you do have a rodent problem consider a few pet-safe alternatives like ultrasonic pest repellents, peppermint oil or humane traps. Autumn is prime time for trees to shed their unpicked fruit – apples being the main offender. But as fruits are left fallen on the ground, they can become mouldy and ferment. Mouldy food can contain tremorgenic mycotoxins which can be deadly for your dog if eaten, causing muscle tremors and convulsions. Fallen fruits that ferment become naturally alcoholic over time. Your dog could have a toxic reaction to this natural alcohol in the fruit and suffer sickness and diarrhoea. If you have fruit trees in your garden, take a moment to pick up and throw away all the fruit blown onto the ground. Avoid areas in your neighbourhood where you know there are fruit trees and seek veterinary help if your dog becomes unwell. When decorating your home and garden with autumnal plants, bear in mind that some plants are poisonous to dogs. 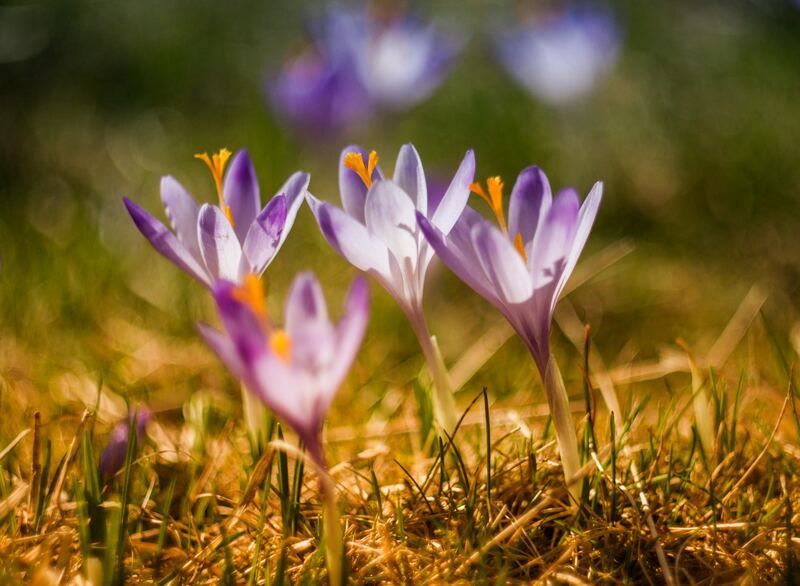 Autumn flowering plants like Crocus, Chrysanthemums and Cyclamens can cause anything from vomiting and diarrhoea to seizures and death. Be sure to check which plants are poisonous before you head to the garden centre. If you have your heart set on a particular plant that is toxic, make sure it’s kept out of reach. Display plants on a high shelf, in a hanging basket or construct a dog-safe barrier in your garden. 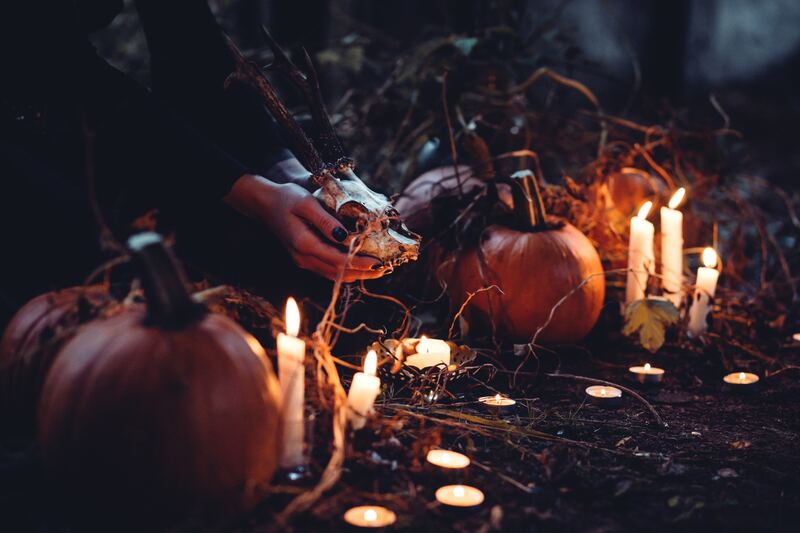 Many of us break out the candles in autumn and winter. Candles can instantly turn a cool-feeling house into a cosy hide-away. But whether you’re using them to brighten up your mantel piece or to finish off your jack-o-lantern, keep them well above dog height. We love our clumsy pooches, but a quick nudge could lead to a nasty burn or even cause a house fire. And since the candle industry isn’t regulated, many contain toxins that can be dangerous to our dogs when inhaled. When conventional candles are burned, they release carcinogens and neurotoxins into our home environment. These toxins can affect the central nervous system and cause allergies and respiratory problems in both us and our dogs. But because our dogs are generally smaller than us, they’re more sensitive to these toxins meaning the effects can be amplified. Experts recommend we use candles made from natural ingredients such as beeswax, vegetable-based wax or natural soy. Just because the weather drops, doesn’t mean fleas and ticks aren’t still about. Our central-heated homes are the perfect environment for fleas to thrive. And while you’re out exploring with your pup in wooded areas, you can both pick up ticks which can carry Lyme disease. Fleas and ticks are nasty little critters that can make you and your dog’s life miserable. Be sure to protect your dog against fleas and ticks all year round. Your vet can prescribe a vet-approved control method, or you could consider natural solutions like essential oils. Firework season with its loud bangs and flashing lights can be extremely stressful for dogs. And it seems to go on longer every year! Towards the end of October, it’s crucial we offer extra comfort and help our pups feel safe. Extreme fear can cause usually friendly dogs to act aggressively. Some dogs may shake and hide, or hurt themselves to try and get away. Their behaviour can be unpredictable, which can put their safety and the safety of others at risk. But you can help your dog feel less anxious by taking a few precautions. In the run up to bonfire night, find a video of firework noises online you can play at low level a couple of times a day. 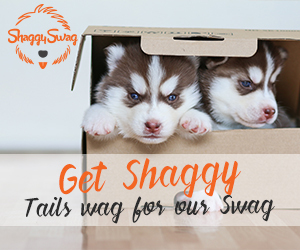 You can slowly increase the volume over time to help your dog get used to the sounds. On firework night, close the curtains and turn the TV up higher than you normally would to drown out the noise. Never leave your dog home alone on fireworks night or take them with you to see a show. Stay by your dog’s side indoors so they feel comforted and protected. A thundershirt is also an effective method to relieve anxiety in some dogs. Wrapping the material around the body can help dogs feel safe and secure – perfect for thunderstorms and fireworks. Snakes prepare for hibernation in autumn, which means they can be grumpier than usual and more inclined to bite. If you’re planning a hiking trip with your dog, ensure you’re aware of all the snakes native to your area and where they’re usually found. A venomous bite could be life threatening for you and your dog if you’re out in the wilderness alone. 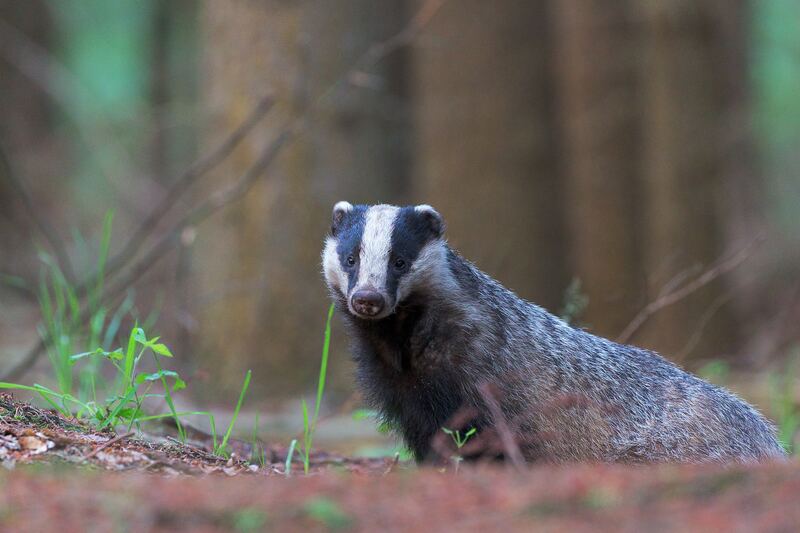 When walking through woodland, you could also come across badgers who are out finding food to build their fat reserves for winter. Badgers can be lethal if they feel threatened, so stay on high alert and keep your dog on a lead if you know they’re in your area. If you have an older dog or they suffer from arthritis, the cold can play havoc with their joints. Experts believe it’s not actually the cold or damp that makes arthritic pain worse, but the changes in barometric pressure, decreased activity levels and increased nerve sensitivity. You may find your dog is more reluctant to go on walks, shows signs of discomfort, limps or whimpers when moving. Arthritic pain can be extremely uncomfortable for dogs. If you notice any unusual behaviour, ask your vet for advice. There are various treatment options available, including medications, heat therapy, acupuncture and dietary supplements. Temperatures are falling and we’ll soon be using any means necessary to keep ourselves and our homes warm. Fire places and space heaters in particular pose a risk to our pups. Curious or over-excited pooches could burn themselves if heat sources aren’t protected. 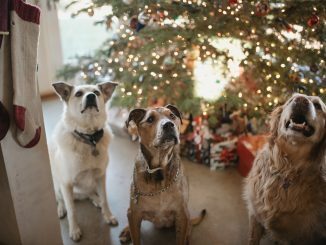 Ensure you have a guard around your fireplace to keep your dog at a safe distance. If you’re using space heaters for added warmth, never leave your dog unsupervised when they’re in the same room. Fallen conkers and acorns are common in autumn as horse chestnuts and oak trees drop their seeds. Most dogs won’t find them appealing to eat, but keen chewers can be tempted, particularly puppies and younger dogs. Both are poisonous to dogs if ingested, causing vomiting, diarrhoea and abdominal pain. If swallowed, they could also cause an intestinal blockage due to their hardness and size. Dogs that like to hold things in their mouths may pick up conkers to carry on their walks. Just be sure to take it away before they can actually chew or eat them. Many of us like to fill our homes with autumnal decorations this time of year. And Halloween in particular with its spooky props, costumes and makeup can be choking hazards for our dogs. Dogs explore with their mouths, and any new and interesting items in the home can be a target for chewing. If you’re decorating your home this autumn, just make sure you keep any potentially dangerous items out of reach. Why do dogs eat grass and should you worry? The only thing I didn’t know about was Seasonal Canine Illness. I’d never heard of it. Very informative post. What a comprehensive list of potential Fall problems, many of which would never have occurred to me before working on Talent Hounds and adopting Kilo the Pug. He and his cousin Angus have both stolen chocolate from bags and back packs with nasty consequences, he has tried to steal gum in a tissue in a waste basket, he has bumped a candle and many other crimes. I hate that he will not wear booties so has to step in poisonous salt (I did find a brand last year that is non toxic and very effective at least for our front area. I need to get new reflective lights and remember to attach a tiny torch to his leash so I can see when he poops in leaves. A tick in the fall season nearly killed my dog last year, so I am super glad to see you covered these timely topics. You can never be too safe or too careful.